As you prepare to gather round a bonfire and to ‘ooh’ and ‘ahh’ at fireworks, don’t forget (indeed, ‘remember, remember’) that you’re part of a well-established national tradition. What’s now known as the Gunpowder Plot was uncovered on the night of Monday 4 November 1605 when Thomas Knyvett, keeper of Whitehall Palace, led a second search of the vaults under the House of Lords. There Knyvett’s party discovered Guy Fawkes—posing as one John Johnson, servant to Thomas Percy, and standing guard over 18 hundredweight (about 900 kg) of gunpowder. The discovery came nine days after Lord Monteagle had raised the alarm having received a letter from his brother-in-law (one of the plotters), warning him not to attend the state opening of parliament on Tuesday the 5th. Today the Gunpowder Plot is the early modern act of treason, but in truth it was one in a series of conspiracies—albeit one of spectacular ambition. That it became a fixture in the national calendar owed much to the plot’s value to protestants of the seventeenth and eighteenth-centuries as a warning of what they saw as the threat posed by Catholicism. By this date the burning of effigies was also commonplace. On 5 November 1673 John Evelyn observed that ‘the youth of the city burnt the Pope in effigy after they had made procession by it’. A century on it was the plot’s best-known protagonist, Guy Fawkes, who was increasingly singled out—the Times newspaper reporting that ‘Guy Faux in his usual state was carried about the street in commemoration of the gunpowder plot’ (6 November 1788). By the nineteenth century, Fawkes (or the ‘guy’) had become, aside from the occasional politician, a fixture atop the bonfire. This remains the case, except at Fawkes’s former school—St Peter’s in York—where old boys are no longer burned in effigy. The Fifth’s combination of flames, fireworks, dark nights, drink, and public celebration is, of course, a hazardous one. Concerns over possible disorder are as old as the commemoration itself. Those taking part in the first ‘fifth of November’, in 1605, were encouraged to do so as long as ‘this testemonye of joy be carefull done without any danger or disorder’. With the growing popularity of the ‘guy’, and the accompanying demands for pennies, came what the Times, in November 1802, described as ‘the great annoyance occasioned … by idle fellows who assembling a mob cause many depredations and disorders.’ Worse still was the Victorian fashion for ‘guy riots’, while public disorder among students in Oxford and Cambridge, and in parts of central London, remained commonplace until as late as the 1960s. Unless you’re spending it in Lewes, Sussex, or Ottery St Mary, Devon, your ‘Fifth of November’ will likely be a calmer affair—the modern ‘Bonfire Night’ now a preserve of families, charities, and community groups. In addition to the life of Guy Fawkes in the Oxford DNB, an audio version of his biography is also available. Or download the podcast directly (under ‘criminal lives’). 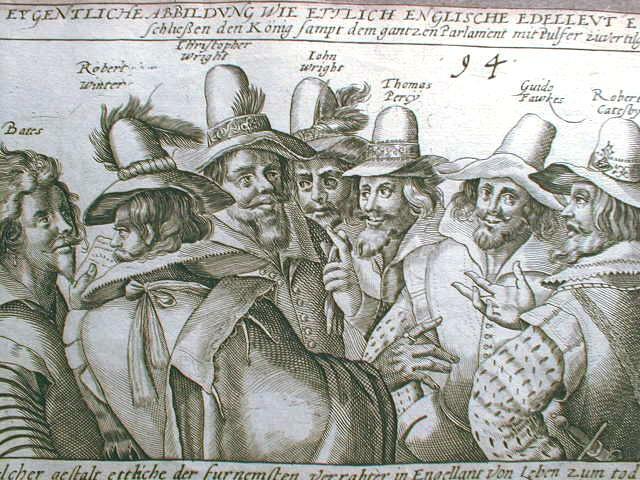 Image credit: Guy Fawkes and the Gunpowder plotters, 1606, via Wikimedia Commons. Philip Carter is Publication Editor of the Oxford Dictionary of National Biography, a collection of 58,780 life stories of noteworthy Britons, from the Romans to the 21st century. The Oxford DNB online is freely available via public libraries across the UK, and many libraries worldwide. Libraries offer ‘remote access’ allowing members to gain access free, from home (or any other computer), 24 hours a day. 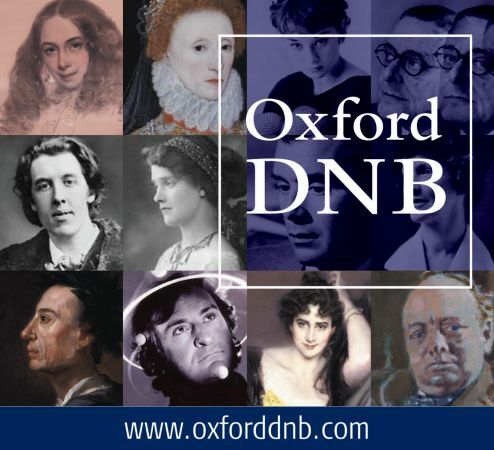 You can also sample the ODNB with its changing selection of free content: 190+ episodes of our biography podcast; a topical Life of the Day, and historical people in the news via Twitter @odnb.